If you are craving something cold and caffeinated, you can easily transform your Keurig into an iced coffee maker. It is really quite simple to have that cold delicious beverage that you were craving. Keurig vs. Traditional — Which One Should You Choose? What Style of Keurig to Choose From? A Keurig or Traditional Coffee — Which is Better? One of the more recent trends among coffee drinkers has been drinking iced coffee and iced coffee drinks. While this is not a new trend by any means, this is a trend that is worth mentioning. 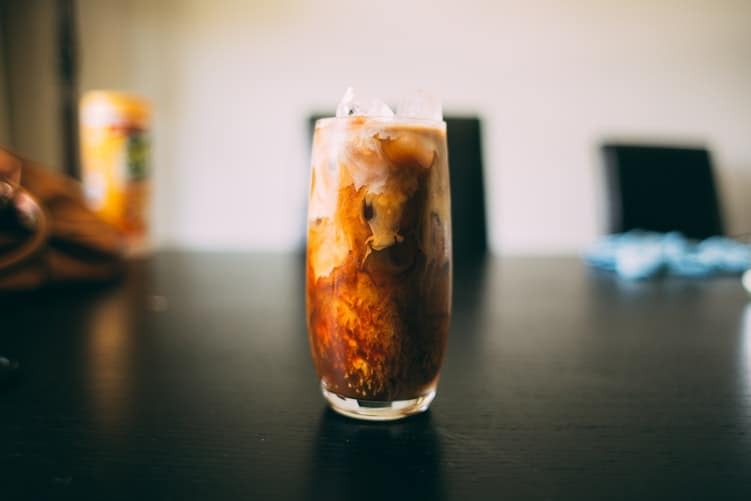 There are a number of ways in which you can get an iced coffee or brew it at home, but did you know that you can transform your Keurig into the iced coffee machine of your dreams. An average iced coffee recipe will simply tell you to pour your coffee over ice. 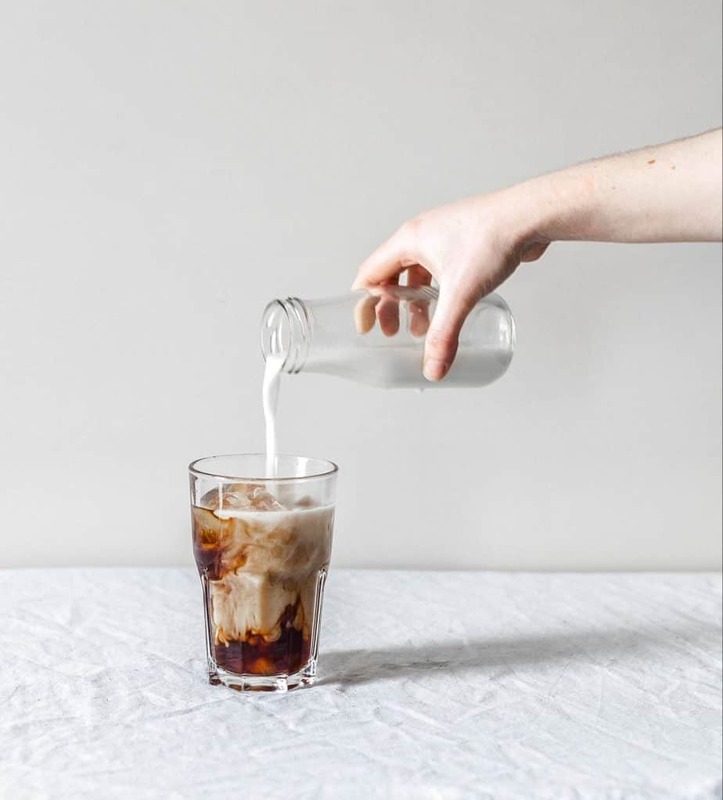 Unless you are drinking cold brew, all iced coffee was made hot and cooled down by adding other cold liquids and ice cubes. 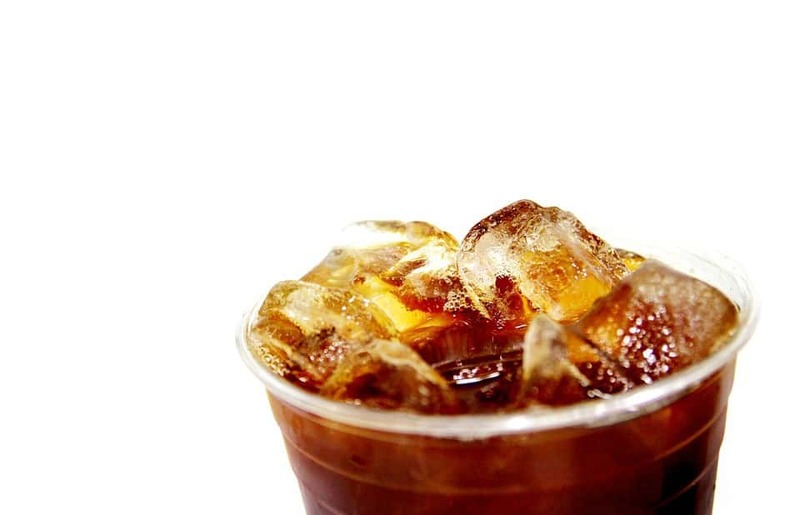 Most people think that the trend of drinking iced coffee is a new one. 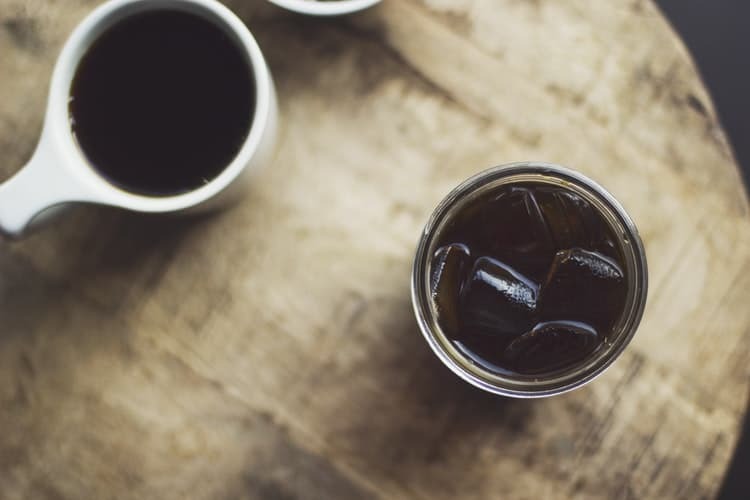 Did you realize that iced coffee has been around for generations? It was actually first drunk by the French colonial troops in the middle of the 1800s. The troops were in Algeria at the time that they discovered this delicious and cool way to drink an old favorite. Basically in the 1800s troops simply mixed coffee syrup with cold water. This helped them to combat the sweltering heat. In modern coffee times, you can beat the heat with a delicious iced coffee drink. Some people even love frozen coffee drinks. The best part is that you can actually create and make the iced coffee drinks all by yourself. Basically, you just need your Keurig and a good iced coffee recipe. There are so many things that you can do with a Keurig and one of them is brewing delicious coffee for all of your favorite iced coffee drinks. There are only three easy steps to do this and you are going to be shocked that you have not created these delicious iced coffee drinks before. Pick Out Your Favorite Keurig K-Cup (or make your own favorite with your favorite coffee and the reusable K-cups that are now available). Brew your K-Cup in your Keurig. Grab a glass and fill it with ice. Pour your freshly brewed coffee over the ice. Add milk and/or sweetener to flavor the coffee so that it tastes just like you want it to. Having a delicious fresh cup of iced coffee is very easy with the Keurig. The best part is that this is a delicious treat that you can enjoy at home at a fraction of the cost of what you would pay in a coffee shop. There are a number of additional things that you can do with the iced coffee. You can experiment and find the right delicious treat for yourself. One quick and easy way to enjoy frozen coffee beverages is to take your cold coffee and fill an ice cube tray. Then you just have to throw it in the freezer to create coffee ice cubes. You can use these in a variety of ways. If you are not a real strong coffee drinker then you can blend them with cream and flavored syrup for a delicious frozen drink. You can also use them in your next round of iced coffee so that the coffee doesn’t get watered down by the ice. You can also make your own delicious iced latte from the comfort of home. All you have to do is use the cool steam option on the Keurig. You will froth the milk and then add in your cold coffee and coffee ice cubes. After this, you just need to top with the foam. There are a number of additional types of iced coffee that you can enjoy. A delicious iced mocha is within your grasp. Just take your freshly brewed coffee and ice it down. Then add milk and chocolate syrup, the better the chocolate syrup quality, the better the delicious iced mocha is going to be. 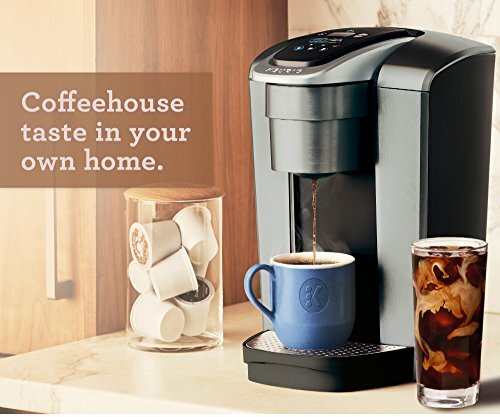 Now you are ready to enjoy your own iced coffee or iced coffee drink with your Keurig. Making iced coffee is simple and something that you will be able to enjoy every day from the comforts of your home. Choosing a Keurig model can be challenging since there are so many. These machines have been popular since their introduction for their simplicity and variety of flavors and options. Today you can brew so much more than just coffee with your Keurig. You can make teas and hot chocolates as well. 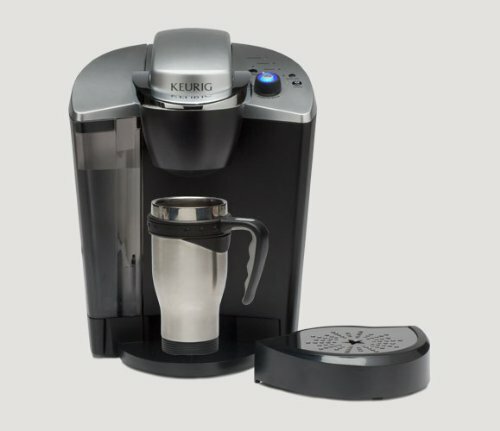 Keurigs come in a variety of different models and styles. There is a Keurig that will fit into any budget. There are many different features and great results with the Keurig brand as it has become the most trusted brand of the personal great coffee makers. However, since there is a very long list of models, you might not be able to decide which one is right for you. Don’t worry, we are here to help! Looking at the features is a great way to determine if a Keurig is for you. There is a wide range of different features that you might want to consider. Some of these are specific to the style of coffee drinks that you like, while others are tailored to the way that you are going to use the Keurig. Really think about the features that you would like to have and the features that you would use daily when choosing your own Keurig model. Here are some tips to help you make sure that you have all of the features that you desire. What purpose do you want your Keurig to serve? Think about what you want out of your Keurig. Do you just want to drink black coffee? Do you want to drink fancy coffee shop drinks? Also, will you be using this in your home or in a business? If you are using in a business than you will want to choose a commercial model that is going to last longer and hold up to more wear and tear. What is the cup serving size that you desire? Are you a small cup of coffee in the morning person? Do you want to drink a whole pot most mornings? There are actually different single serving sizes that a Keurig can offer. Some offer larger sizes that are targeted at people who travel. If you know the amount of coffee that you will be drinking on a regular basis then you can find the right Keurig for your needs. Do you want the Keurig to be portable? Most Keurig models are small and take up little space in your kitchen. This is nice for those who have limited space. Additionally, some Keurigs are made to stay on the counter, while others are made so that you can take them with you or travel with them. If you have the right model, you can take it with you when you travel. Do you want your coffee ready when you wake up? One feature that many people love with some Keurig models is the chance to wake up to freshly brewed coffee without any work at all. Do you want to be able to drink tea too? Hot water brewing is possible with some of the Keurigs. This means that you can use the Keurig for tea and hot cocoa packets without having to do anything special. Not all Keurigs have this option so it is something to look for if it is something that you want. Finding the perfect coffee pot does not have to be hard. Thanks to Keurig and their innovative designs and features, you are going to be able to find one that you love and is going to meet your needs. Keurig has become a trusted brand in the coffee industry. This is why you should consider a Keurig brand when purchasing your own personal coffee maker. With so many brands available today, it can be a challenge to try and decide which is right. With Keurig, there is nothing to worry about because you are getting the best brand on the market today. There has been some controversy with Keurig lately stating that the plastic in their premade coffee pods causes cancer, but these accusations have not been proven. Keurigs actually produce coffee on demand. You can pretty much get coffee instantly when you are using one of these machines. 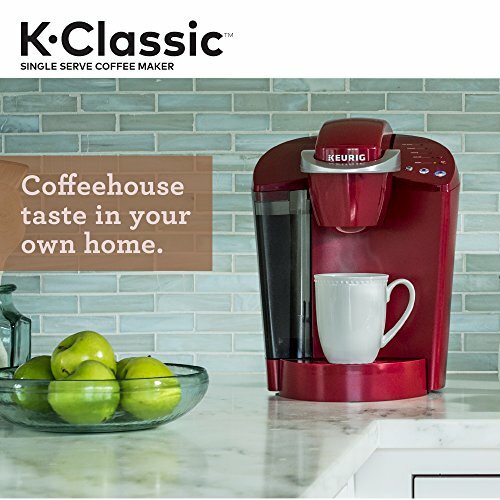 Not only does the Keurig offer you coffee immediately, but it is like having your own coffee shop at home since you can get coffee in different sizes that range from four ounces to sixteen ounces. This means that you can have a small glass of coffee when you are not needing much caffeine or a full travel mug when you are having a long day and need caffeine. There are a lot of different things that you can pick from with a Keurig. Some of the machines come is aesthetically pleasing designs and colors so that you can have one that is going to best match your kitchen. Other machines offer numerous additional features going from a coffee pot to a coffee station. Still some machines are available at an affordable price, while others are very pricey. No matter what Keurig you choose, we are confident that you will be happy with them. Many people struggle with trying to decide if they should go with a traditional coffee pot or a Keurig. The Keurig is a great option for those who want to have more control over their brewing and who are looking for specific features. The traditional coffee pot is lacking and does not offer these options to you. Plus traditional coffee pots only brew full pots, so if you only want a cup there is a lot of waste. If you are trying to decide which of the Keurig coffee pots is the best, consider one of these. They are the top nine models for 2018 and each one is sure to make you happy as it will have the features and performance that you desire. The Keurig K475 is literally the perfect single serving size coffee maker. It was definitely our favorite for home use thanks in part to the simplicity of the design and very small size. It is similar to the K155 (mentioned later) but it is made for home use, not office use. You can even get it in a variety of colors so that it will match your kitchen! The K-Elite is a great upgrade for current Keurig fans. It is the creme de la creme option that really has features that you are sure to love. If you have been wanting to upgrade your existing model of Keurig, then this is going to be the best option for you. It even has some added features that you are going to fall in love with once you start using this machine. If you are going to spend a little more for the perfect Keurig then this is the best choice available for you. 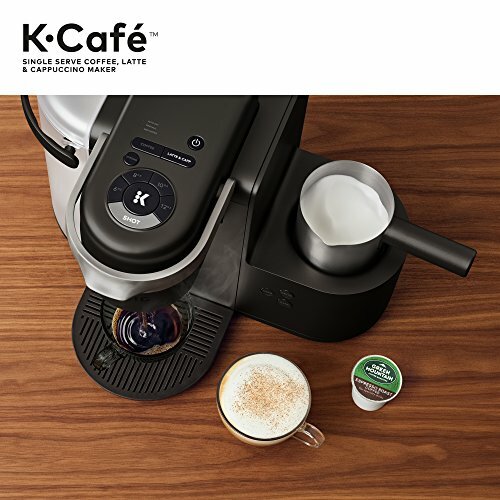 The K-Cafe offers the chance to steam and foam milk, have delicious coffee and coffee drinks, and even has a number of additional benefits that you might not have thought about when it comes to coffee makers. The Keurig B145 is marketed to offices and business employees. It will brew one single cup and has no option for larger amounts or carafes of coffee. It is a smaller size and it works well for the home as well as the office. There is no shortage of things that this coffee pot can do. It can brew coffee, iced tea, hot chocolate, and more. It can accommodate cups that range in size from six to ten ounces. It features a 48-ounce reservoir which will keep you going on keep coffee in your hand all day long. 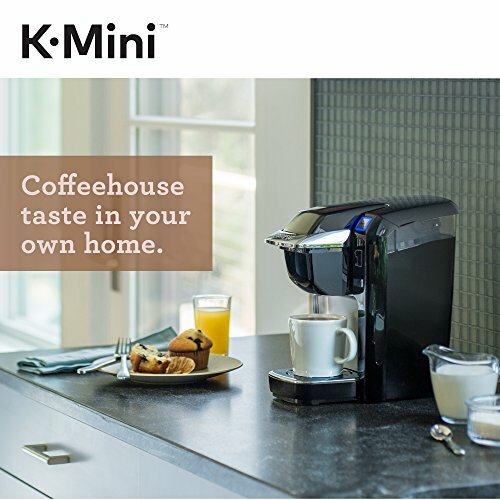 The K-Mini is an easy to use and simplistic coffee pot. It offers you the chance to have what you want while brewing your own coffee at home. It is compact, so even those with the smallest kitchens will appreciate its design. The price point is really awesome too as it is one of the most affordable Keurig models. It features an auto-shut off, so you are not sacrificing safety for a cheaper price. 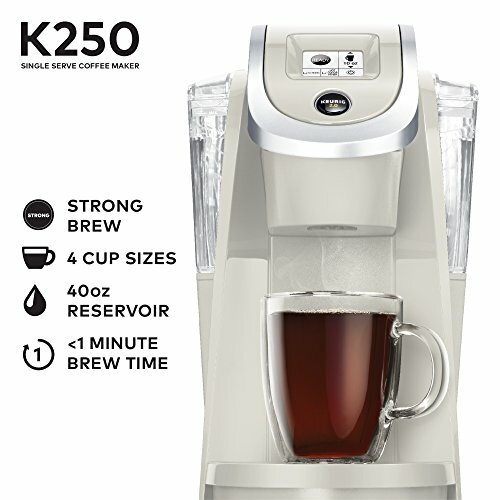 The K55is the economic choice of Keurigs. It is affordable and offers a nice way to get your morning cup of joe conveniently. It does not have all of the perks, bells, and whistles that the other Keurigs have but since it is about half the price of most other models, this seems reasonable. It is not recommended for high amounts of use, so using it in an office setting would not be ideal. 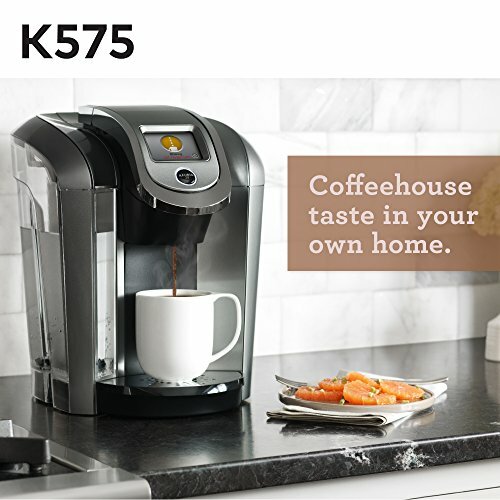 The K575 is one of Keurig’s most popular models. It features a number of different options and allows you to program when you want your coffee to be made. It is well designed and easily fits on any countertop. It measures 10.2”x13.4”x13.6”. 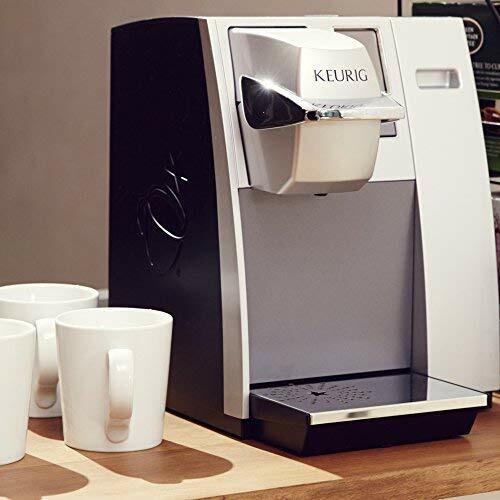 The Keurig K250 offers you aesthetic appeal and delicious fresh brewed coffee in one. It is so simple to use the machine and it offers you a variety of different options that some of the other machines do not. It is reliable and known for its high quality. One of the things that makes the K155 such a great model is that it offers a consecutive brew time. This means that multiple people can use the machine one right after the other and still have delicious fresh brewed coffee. It does take about three minutes to heat up the water. You can deliver about fourteen cups within thirty to sixty seconds once it has heated up. Consider the brew times for the machine, how many people will be using it, and if it is going to be enough to meet the needs that you have. If only one person will be using the machine then a longer brew time is fine, but if you are trying to brew for a busy office and there is a line, that becomes a problem. While lots of people like to believe that size doesn’t matter, when it comes to Keurigs and cups, you want to know the sizes that are available to you. If you drink a lot of coffee, you might want to choose a model that will allow you to have a carafe. You will also want to think about the amount of water that a Keurig holds. 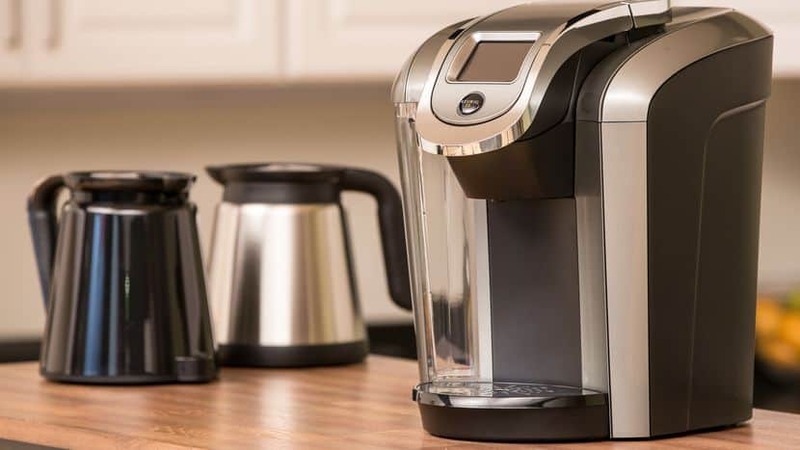 If you are worried about having a Keurig that is going to last you a considerable amount of time, think about your family dynamics, how often you have guests, and consider what you want your coffee pot to do for you. While you might not care about how hot your coffee is, some people do. There are options with the Keurig to have machines that will brew at different temperatures and at least one machine will brew cold. You might not have complete control over the brewing process with the Keurig, but if you make the right choice, you can control the temperature. Some of the models allow for you to choose the strength of the coffee that you are going to drink. You change the settings to actually brew stronger or weaker. Other machines do not have the choice and brew one strength but you can adjust the size of your serving to help adjust the strength of your coffee. Finding a Keurig that allows you to work with a user interface that you are comfortable with is important. You can find one that is highly evolved and electronic or you can find one that has few overall features and you simply pop in a k-cup and close a door. The Auto-On feature allows you to have freshly brewed coffee whenever you wish. You just program the time and come into the room at that time to your coffee waiting for you. The Auto-Off feature protects you from having problems with overcooking or potentially causing the Keurig to be a fire hazard. You can do this and you are able to find everything that you have ever wanted to know by choosing the right Keurig for your needs. In conclusion, there were many things that we thought about when trying to determine exactly which Keurig we wanted to choose as our top pick. While the price was a consideration, in the beginning, It quickly got thrown out the window because the K-Cafehas so many amazing features that it justifies the large-scale price tag. The machine can literally do everything and we would highly recommend this choice for that very reason. 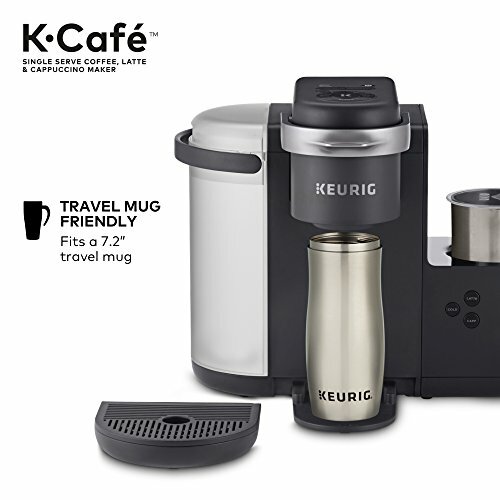 You are not just getting a coffee maker and you are not just getting a cup of coffee with the K-Cafe. You can create all of your favorite drinks and can even have the coffee house favorites that you never dreamt of making at home. The K-Cafe has a milk steamer and frother attached and you can use that to make perfect cappuccinos and lattes. We also love that this model allows you to brew cold which helps immensely when trying to brew the perfect cup of iced coffee. 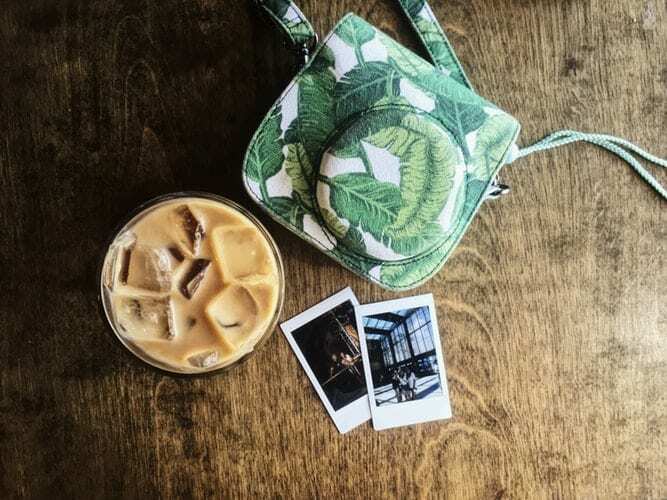 It allows you to have all of your favorite iced coffee drinks and treats as well as being ready to handle the hot ones when you want them as well! Keurig K575 vs. K525: Which is best for you? Hamilton Flexbrew vs Keurig Models: Which One Will You Like More? Previous Post: « Best White Coffee: Asking, “Where Can I Buy White Coffee?” See Here!